My father was born on 01-05-1906 in Sialkot. He lived in a small village of "Toorabad" 8 Kms from the city of Sialkot, Pakistan. 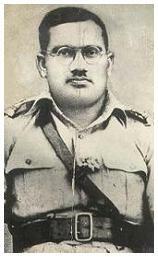 Instead of practising "Hikmat" (his father's profession), he left the village in 1953 and joined British army as "JCO" (Junior commissioned officer). He was posted in "Banglore" at Royal Military College. After partition, he was turned out from "Indian Army", because he was "Pakistani" and all his family lived in "Pakistan". He left "Banglore" and went to "Aligarh" where he studied at "Aligarh Muslim University". He became the student leader. He stood 1st in M.Ed. and was appointed as lecturer where he had the opportunity to meet Dr. Zakir Husain then VC of Aligarh University. (Dr. Zakir Hussain, 3rd Prime minister of India). He later migrated to Sialkot, Pakistan. This was a sad year for him because his eldest daughter died during child birth at the age of 23 yrs. His mission in life was to educate the rural population of the surrounding villages. Using his vast previous knowledge and experience in teaching, he founded "Madrasa Tuz Zahra" school in a hope to serve the local community. 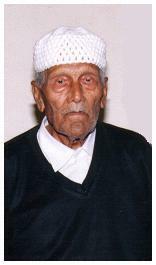 He died on 27-02-2000 and was buried in "Buttar", Sialkot, Pakistan. One incident I must tell; once my father brought British DC in village Buttar and requested the "Gora" to show his eyes to Bootay Khan. He called Bootay Khan and said "Bootay Khan Hamara Ankh Dekho!". Needless to say that in Sialkot, in many of the incidents people of believed that Bootay Khan's family was involved. An interesting episode my father narrated to me was of one of our relatives, a notable Hakeem. He sang as the gramophone was playing. I was 5 years old. I told my father that "Baba Wajda ay"!